Eyes reflect the personality of a person! In order to enhance the beauty of our eyes, we definitely need the help of makeup. Good eye makeup makes you look stunning and ravishing and you can easily create different types of looks ranging from bright and bold to natural and soft with just a few strokes. Here I’ve listed the ten most lovable Eye Makeup products available in India. Kajal is the most important makeup in any Indian woman’s vanity and Maybelline’s Colossal Kajal has become an essential in everyone’s vanity chest! Maybelline Colossal Kajal was launched in 2011 and created a furore in the Indian Market. It is the most popular Kajal in Indian Market right now. It is quite feasible and delivers what it claims. It is jet black, intense, smudge free and stays put in my eyes for more than six hours. It can be used both on the waterline as well as eyelids. The texture is quite creamy and should be stored in a cool place else it will melt. 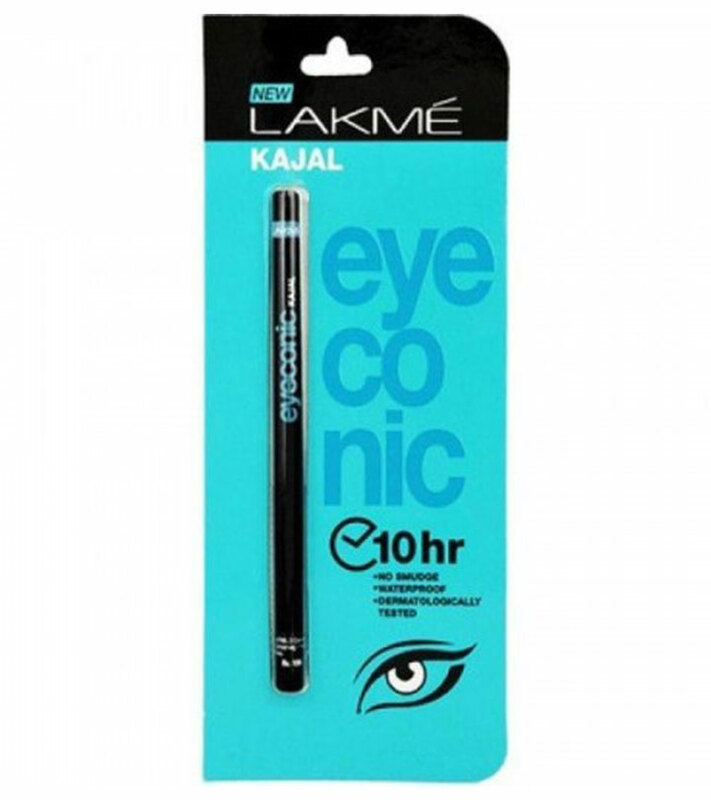 Lakme Eyeconic Kajal was launched to give a stiff competition to Maybelline Colossal Kajal, and sure it did. 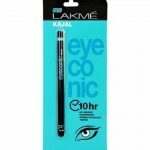 The Lakme Eyeconic Kajal packaging and its colour is very appealing. It is deep black and smudge and budge free and the ten hours claim is somewhat true. It does not sting or itch and is claimed to be dermatologically tested. The kajal is smooth and glides on the eyes without any tugging or pulling. The ingredients list with this kajal also is not mentioned. Right after Kajal, comes our next love the eye liners! 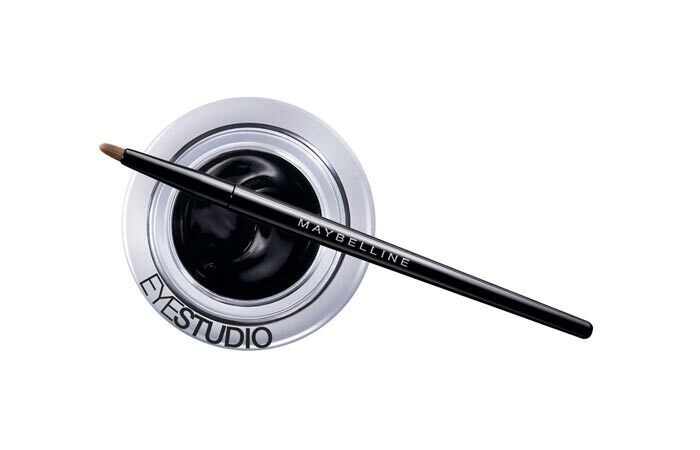 Maybelline Eye Studio Lasting Drama Gel Liner comes in a tiny tub and a specially designed brush. The texture of these liners is very creamy and gives intense lines with smooth and even application. 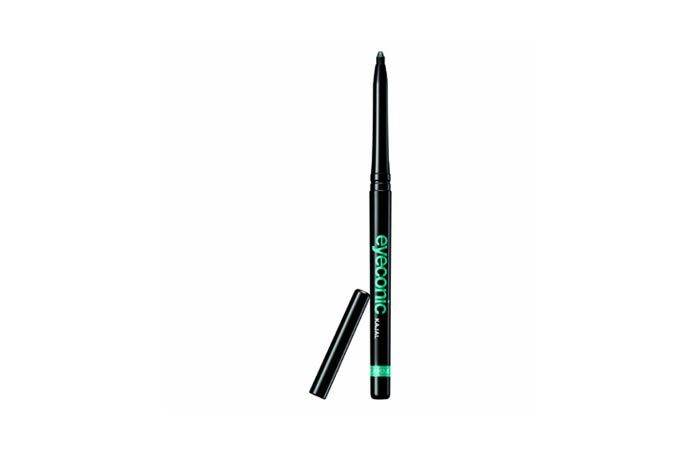 It’s similar to liquid eyeliner, except, it dries faster and lasts throughout the day. It doesn’t tug and can be used as a base for creating smoky eye makeup. It blends smoothly and is thick enough to make your eyes beautiful .You can either apply it heavily or smear it. The only problem I find with them is that they tend to dry with time and the colour is not as black as it should be. I prefer blackest black eyeliners but you can give it a try. You won’t be disappointed. Pencil Eyeliners are a staple to a girl’s vanity, and is especially good for beginners who find it difficult to draw straight lines. Faces Long wear eye pencils are one of the most popular eye pencils in the Indian Market and are loved by everyone. They have a plethora of shades to choose from: Purple, Forest Green, Aqua Blue, Gray, Metal Brown, Solid Brown, Turquoise Blue, Solid Black, Sparkle Black, Dark Green and Navy Blue. The colour pay off of these pencils is amazing and all are highly pigmented. The pencils are soft and creamy and give an absolute smudge proof finish. They stay on for an average of six hours on the eyelids. Since they are extremely creamy, they tend to finish off fast. You should try at least one of these eye pencils. 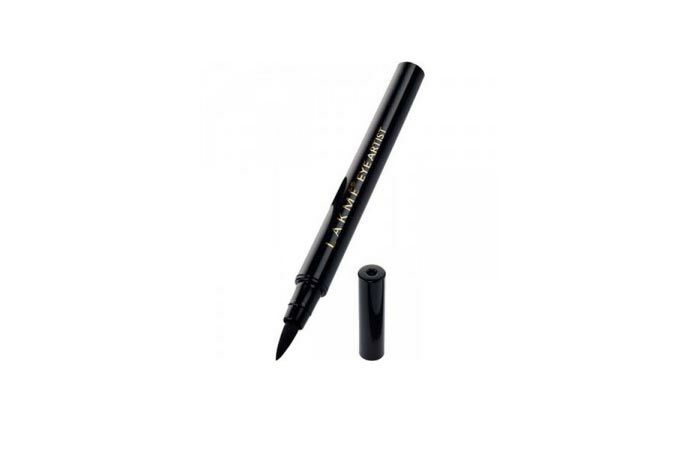 Lakme Eye Artist, is felt tip liner, the latest addition to the liner family. 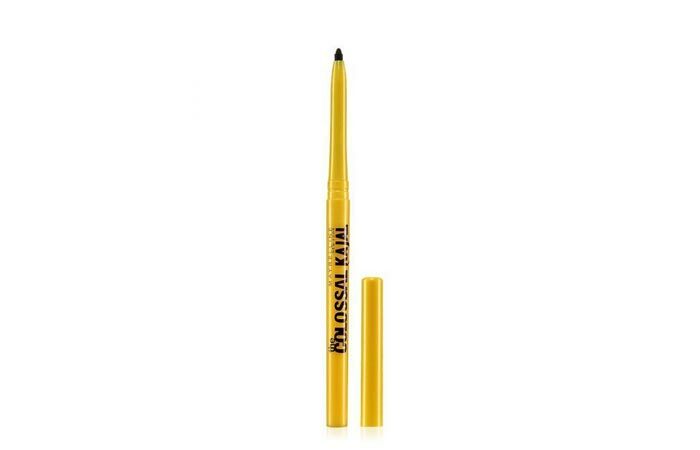 A felt tip eyeliner pen is designed for precise application on the eyelids. Lakme Eye Artist is extremely easy to use. The felt tip design is so effortlessly and easily controlled that within just one stroke, the perfect amount of eyeliner is distributed. The line can be made thinner or thicker, sharp or winged, long or short, and so on. You get an intense black colour in just one stroke and it stays on for four to five hours. But the only thing I dislike about it is that it is not water proof. 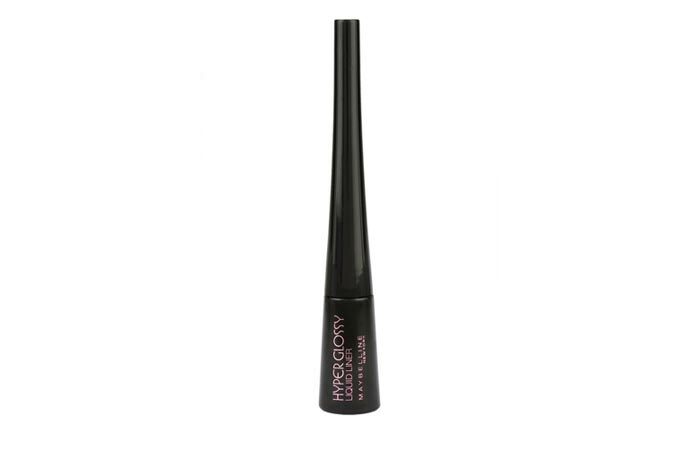 Maybelline Hyper Glossy Liquid Eye liner, launched in December 2012 is the latest addition to the liquid eye liner family, ultimately to the Indian eye makeup products. It comes in a black plastic bottle with long elongated handle. The brush is extremely thin which makes it easier to draw thin lines. It is of black ink colour of runny consistency and gives a glossy finish with just one stroke. Once you have the kajal and the liner down, the next thing you just have to have are the right eye shadows! 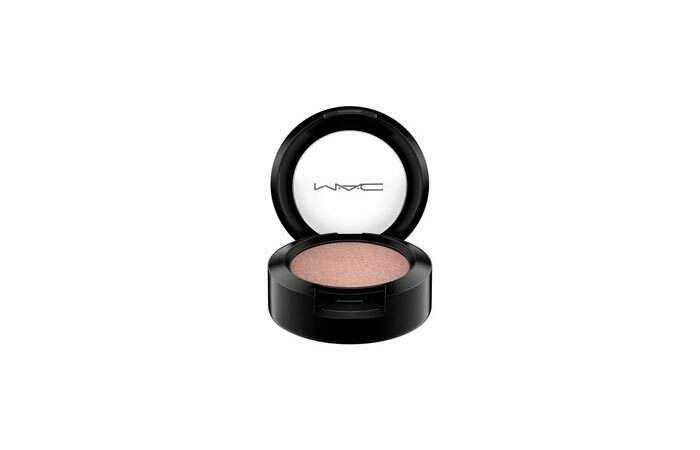 M.A.C Eye shadows are one of the best eye shadows available in Indian market. These shadows are really rich and highly pigmented and stay all day when used with a primer. It can be applied evenly and blends well. They are available in both palette and refills. They have around fifty refills and you can even customize the palette according to your own choice. The shadows are soft textured but are not crumbly soft. You might experience some fall out with lighter and glittery shades but that can be fixed with an eye primer. These shadows add a depth and dimension to the eyes and draws attention to the eyes. They are not the most reasonable eye shadows available, but they are well worth it. Like M.A.C Eye shadows, Inglot eye shadows are also available in refills and palette as well. The colour selection offered is huge. 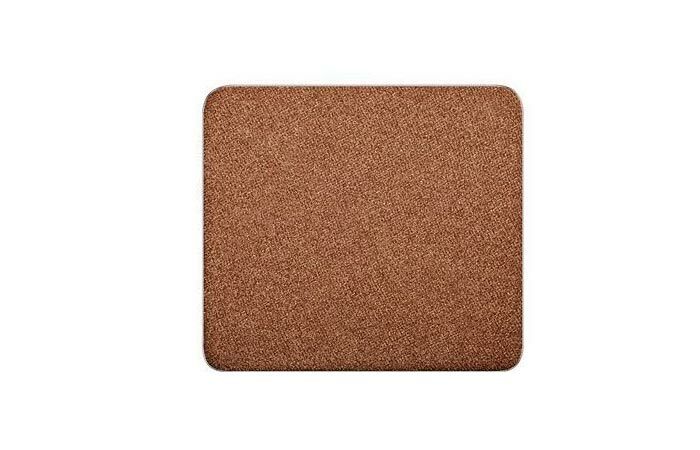 The texture of these shadows is buttery smooth and extremely pigmented. They blend effortlessly with minimum fall out. The quality amount of product you get, the colour pay off, the range of colours offered and the staying power is simply outstanding. They work even better if used with an eye primer. Now can your look be complete without a mascara? 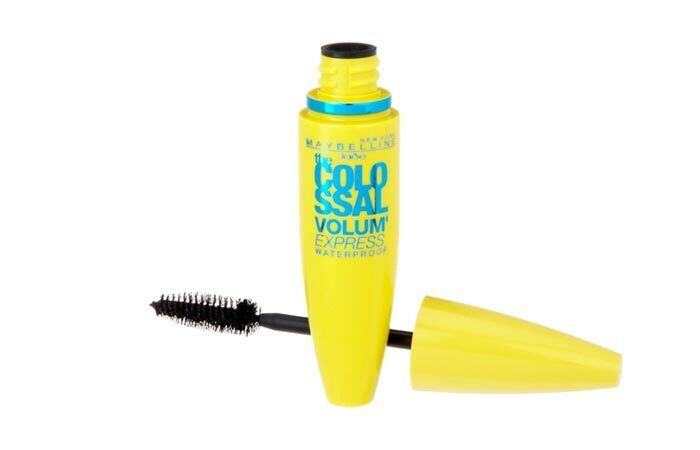 Maybelline Colossal mascara is my HG mascara. I have been using it for past two years and didn’t feel the need to try any other one. This mascara gives my not so sparse lashes, a major volume and intensifies the look of my lashes. The lashes look great with no smudging and clumping. Just two to three coats and you are done. 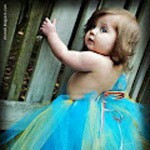 But it’s quite difficult to remove it and you will need a makeup remover to remove it completely. I find the regular ones better than the waterproof one. If you want your eye makeup to last the day though, a primer is what you need! An eye primer is a cosmetic that is used to coat the eyelids prior to the application of the eye shadows so that the eye shadow can be applied in a smooth, even layer and stay put on the eyelids for a longer period of time. Faces Metaliglow eye Primer comes in a tube with an elongated wand. It has a slightly wet consistency and gets absorbed in seconds. It does what it claims, it prevents the eye shadow from creasing and smudging and intensifies the shadow colour. It keeps the shadow intact for at least eight hours. These are the top ten eye makeup products in India which are reigning supreme in the Indian market. Which one is your favourite?